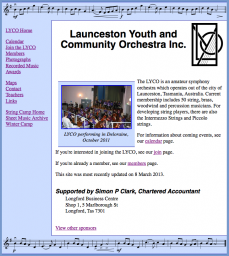 This concert will feature the University of Tasmania Community Music Programme’s Symphonic Band, and the LYCO’s Launceston Symphony Orchestra. 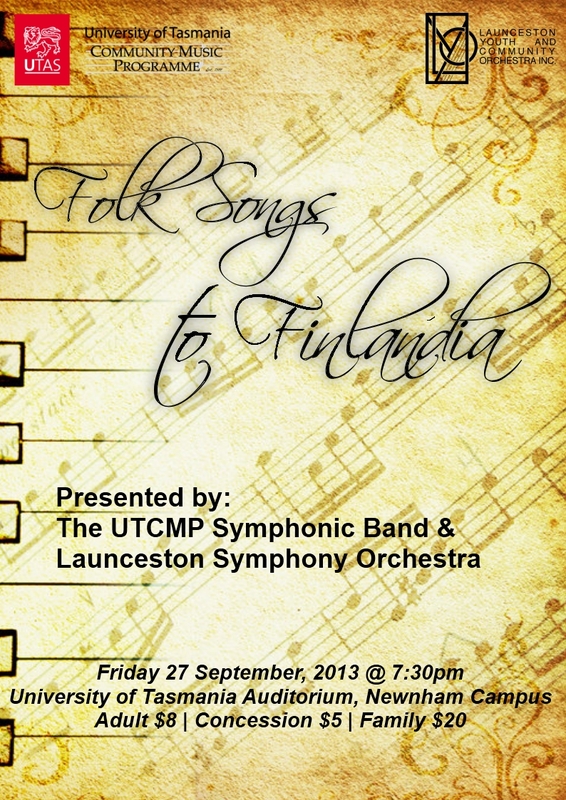 The Launceston Symphony Orchestra will perform The Gliding Girl tango by John Philip Sousa, Allegretto from Beethoven’s 7th Symphony, and Finlandia by Jean Sibelius. For more information about the UTCMP, visit www.utcmp.org.au. Piccolo Strings and Intermezzo Strings do not have a rehearsal on the 27th of September. 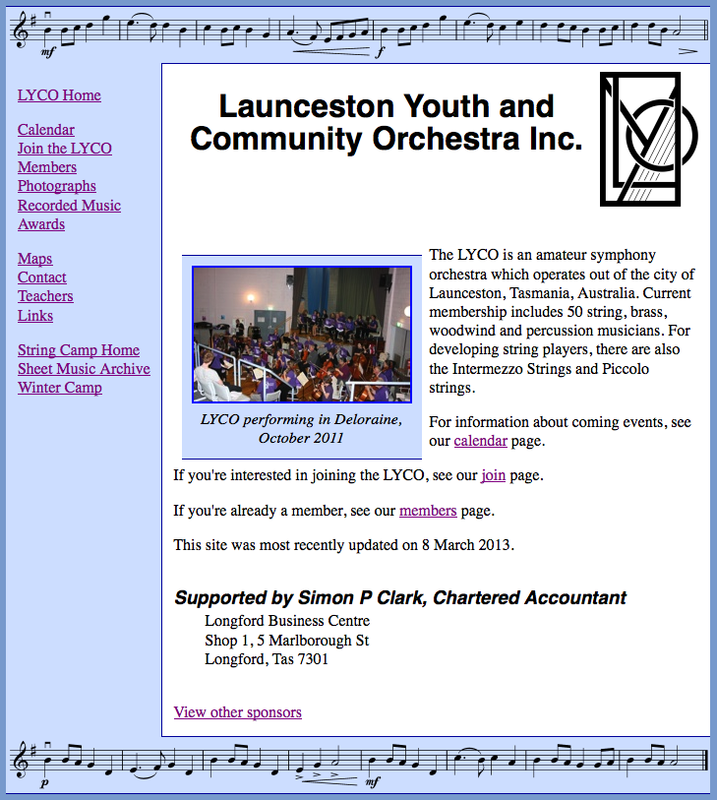 Launceston Symphony Orchestra members have a short rehearsal at the Auditorium before the concert. Please arrive by 5:15pm in order to rehearse from 5:30pm to 6:15pm. Please stay in or near the Auditorium until the concert starts at 7:30pm. The LSO is playing first. Supper will start between 8:30pm and 9:00pm. The Symphonic Band is providing music stands.